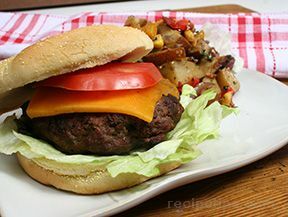 Just a simple burger to make for a quick lunch or dinner. No fussing with ingredients . . . just good old hamburger flavor. 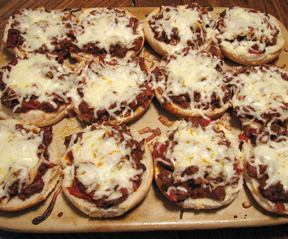 Divide hamburger into 4 even sections. Form round patties from each section. Press your thumb in the middle of each hamburger to make an indent. Generously season each burger with salt and pepper. Melt the butter in a grill pan or skillet on the stove. Place the burgers in the pan and cook on each side for 4 to 5 minutes or to desired doneness. 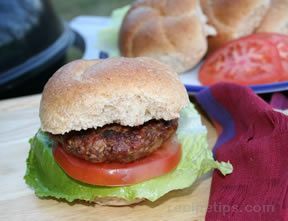 Remove burgers and cover loosely with foil; allow to rest for 5 minutes. 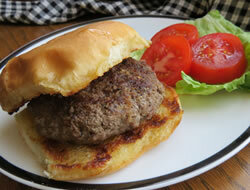 While burgers are resting, butter the buns and toast each half in a pan on the stove until lightly browned. Serve the burgers with your favorite toppings. "Our favorite way to fix hamburgers! Plain old ground beef seasoned with only salt and pepper. Serving it on a toasted bun is the best!"